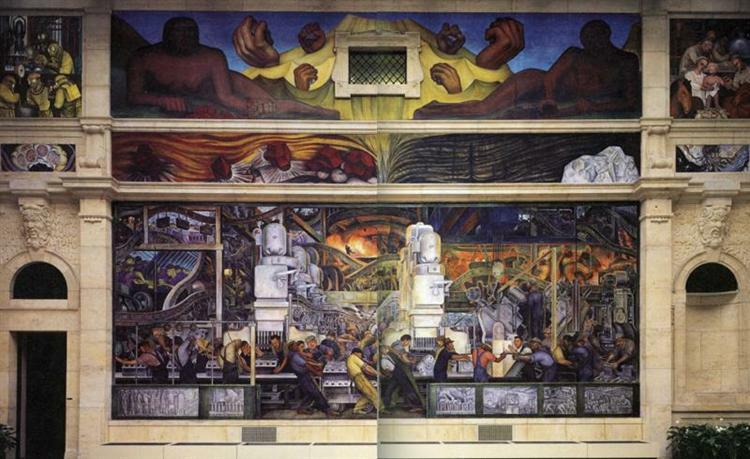 This ten-panel mural marks the last time Rivera was in the United States, having completed it in November of 1940. 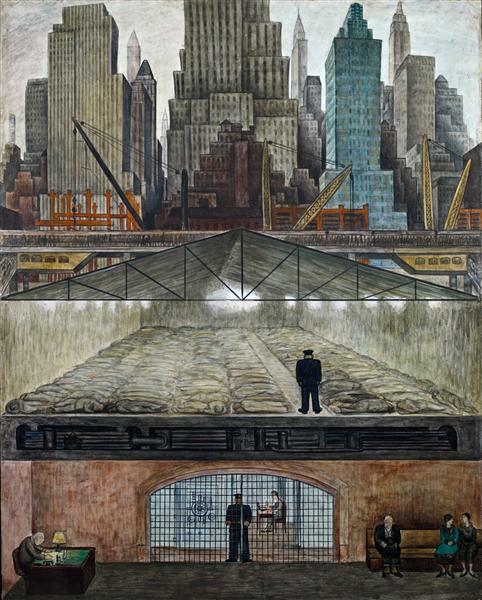 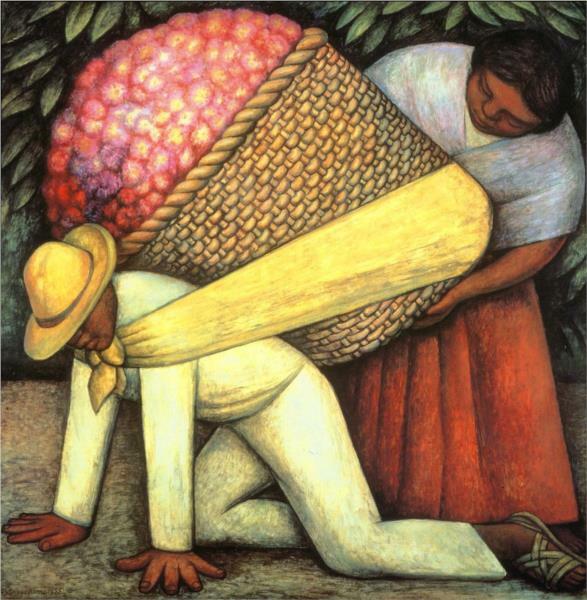 Almost like an exhibit himself, Rivera was on display as he painted, and was awarded a generous $1,000 per month as well as $1,000 for travel expenses during his stay while completing the work. 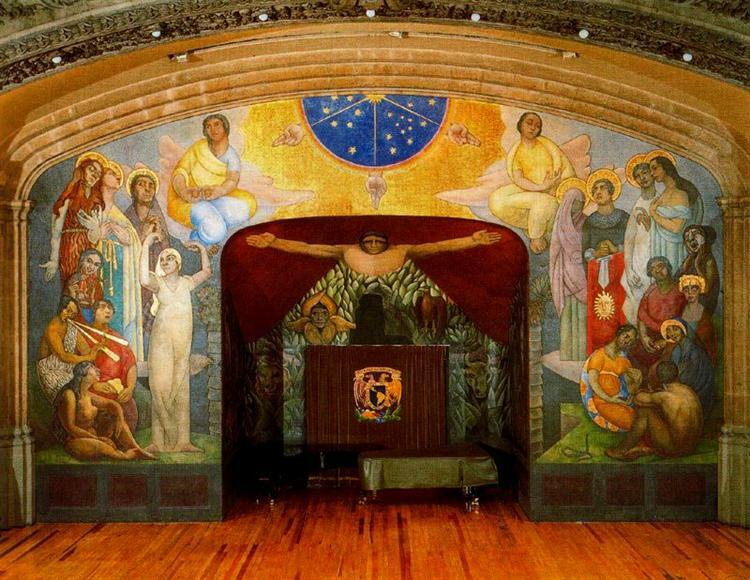 He included the images of his wife, Frida Kahlo, woodcarver Dudley C. Carter, and himself, planting a tree and holding the hand of actress Paulette Goddard, and was assisted in the project by Thelma Johnson Streat, an African-American artist and textile designer. 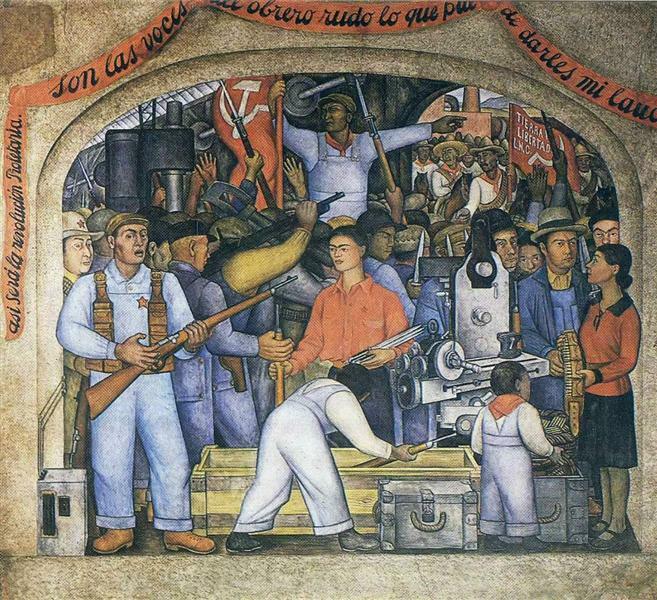 Painted for the Golden Gate International Exposition of 1940, this mural is now located at the City College of San Francisco.